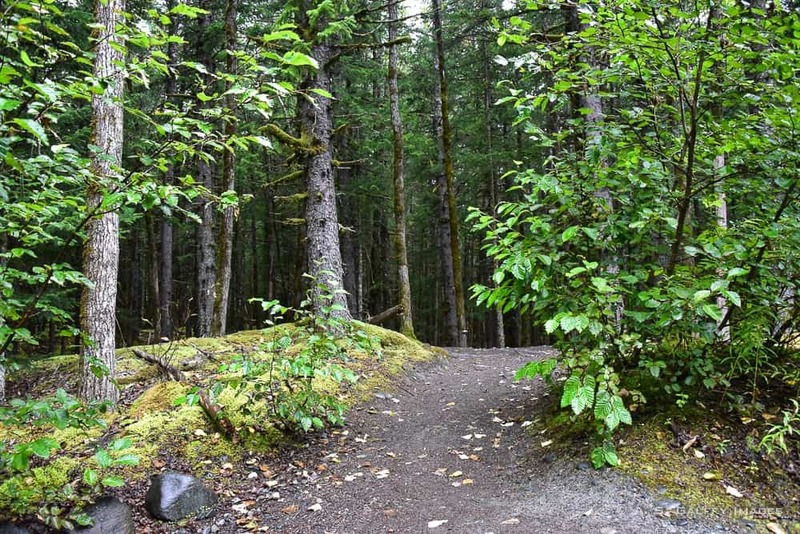 If my previous posts gave you the impression that Alaska is this beautiful, serene place where the sun shines peacefully over the snow capped mountains and limitless lush forests, where the bluish-gray glaciers melt slowly into crystal clear lakes, then you were mislead. There is a more dreadful face of this vast and wild territory shaped by the forces of nature. 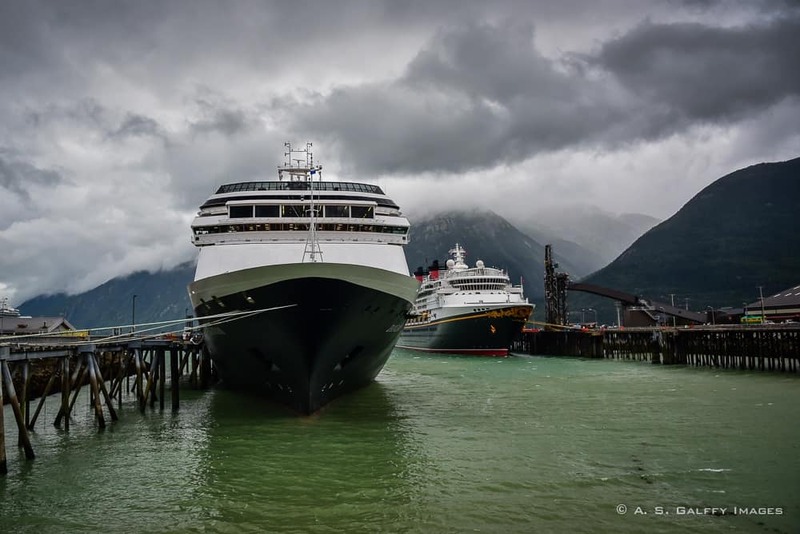 A face that most of us traveling to Alaska may see only briefly and from a sheltered angle of a big ship, or a cozy hotel room. 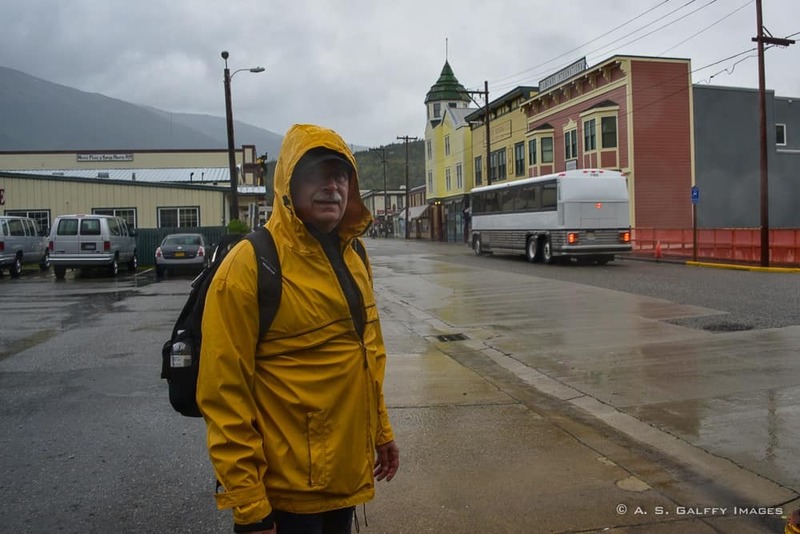 The Last Frontier can be a very inhospitable place at times and we had a little taste of it in Skagway. It was dark and gloomy when our ship pulled at the dock that morning. 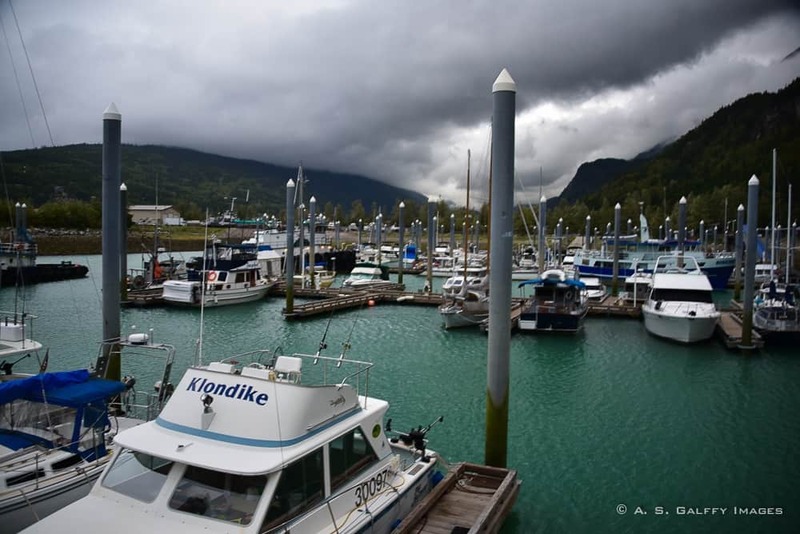 What a change of scenery from the sunny weather in Juneau the previous day! Trusting the weather will remain good, we had booked an adventurous combo excursion to Glacier Point. 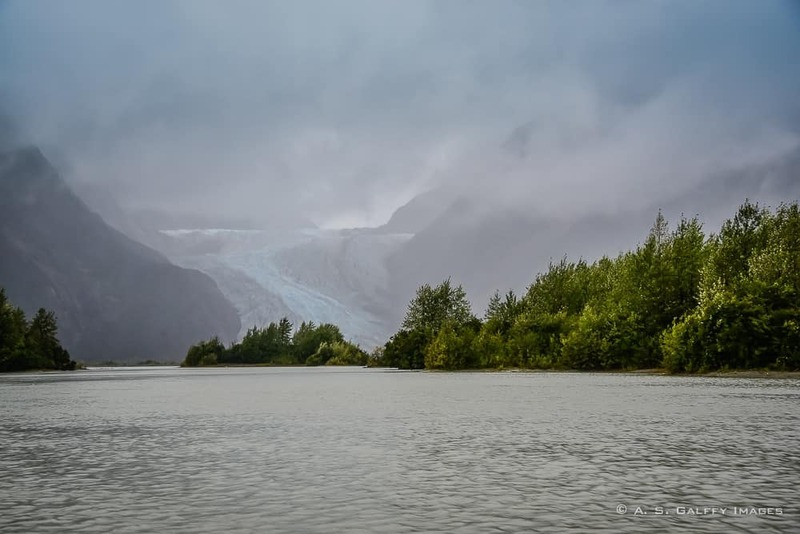 It had a little bit of everything: a 50 minute boat trip across the channel, a rain forest hike, and a scenic paddling journey that culminates with a face-to-face view of Davidson Glacier. 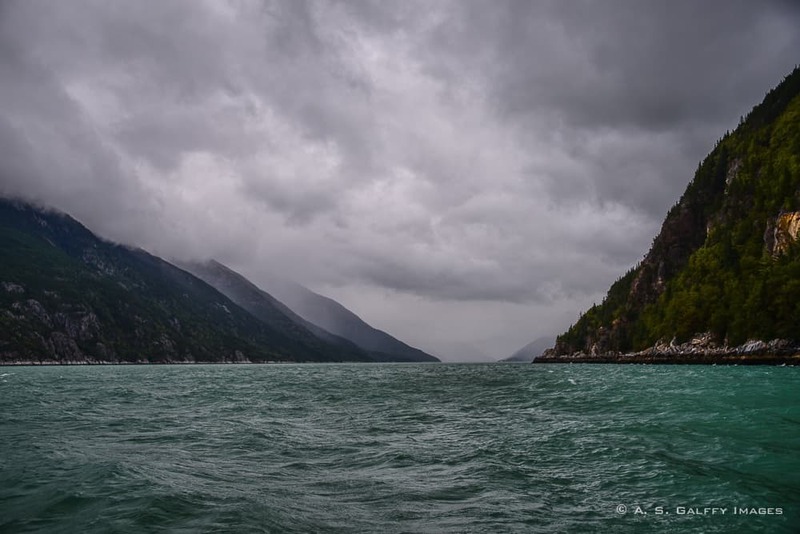 It would have been a great itinerary for a sunny day, but the weather in Skagway didn’t seem too promising. We started towards the meeting point as dark clouds were gathering and strong winds were almost blowing us away. The Small Boat Harbor looked quite dismal. Deep in my heart I was hoping the trip will be cancelled, although there was not much else to do in this small and God-forsaken town. The boat ride started out innocently enough, but a few minutes later rain began pouring down in torrents. As darkness fell over the channel, a dense fog started rolling in. “You are lucky that we had an early start,” the captain announced. “All the other trips for the day have been canceled due to the bad weather.” Oh, that sounded quite reassuring! Did he say ‘LUCKY’? As soon as we passed through the channel and went into the open waters, huge waves began hitting our small boat, lurching it up into the air then crashing it back down with a vengeance. Although covered, the boat wasn’t properly sealed, so every wave that hit us dumped a few buckets of water into the cabin and over us, the “lucky” passengers, who were hopelessly trying to hold on to whatever we could. But it ain’t a curse until everyone starts feeling ill and vomits all over themselves. The 50 minute ride across the channel seemed like an eternity, but in the end we pulled ashore. We were all shaken and nauseated, but in one piece. At the shore we were met by a team who took us by bus to the camp site. When we arrived at the camp the rain stopped. 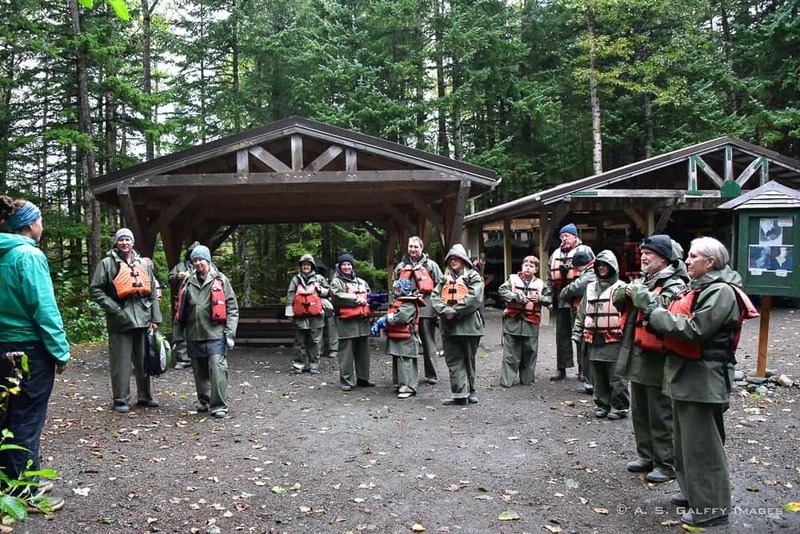 Here we were given a short speech about what to expect for the next part of the trip, then suited up with waterproof gear and life jackets. After a short hike through the beautiful forest we arrived at the edge of the lake where the canoes were waiting for us. At the end of the trail we were greeted by a beautiful view of the Davidson Glacier and pristine lake below. Even in the dark, rainy day this place looked magnificent! After the hike, we boarded the canoes which were large and stable. 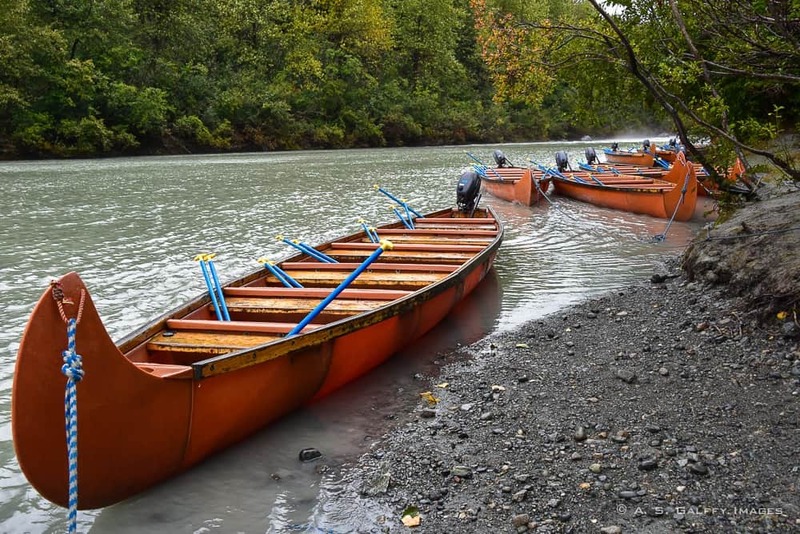 We did not have to paddle much as the canoes are also equipped with motors to speed the arrival to the Glacier. 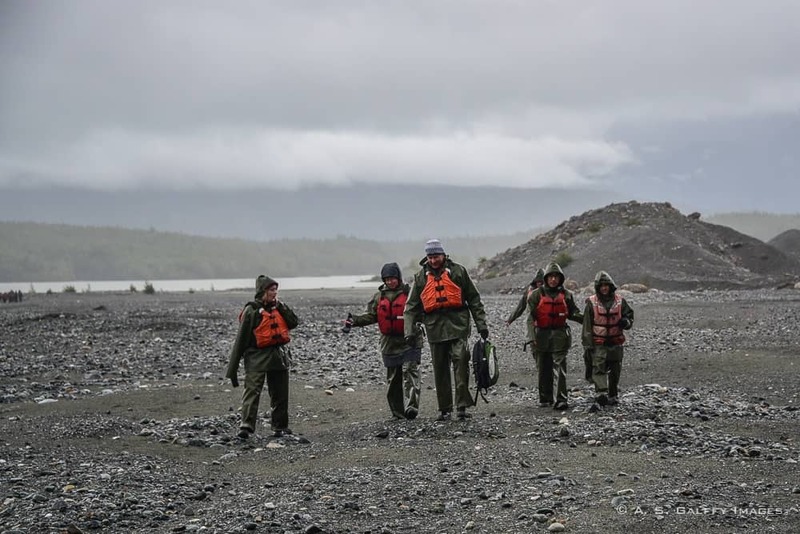 As we arrived close to the glacier, we left the canoes on the shore and started walking towards it. Apparently everyone’s visit is different. Sometimes the water is high and you can’t get out. Other times the water level is lower and you can walk all the way to the glacier. The glacier was amazing beyond words. Time stood still as we gazed at the intense blue color, fragments, cracks, rocks and landslides. Alaska is a land constantly on the move. On the way back the rain started again. Rowing kept us warm as chilly winds began to whip the cold waters. Back at the camp, we were given sandwiches, water and some snacks. After leaving our funny-looking gear behind, we hopped on the bus that took us back to the boat. The return trip on the water was even worst the second time around. When we arrived in Skagway we were all thankful that we were alive. Other than a couple of bruises from hitting the cabin walls, we were all right. The rest of the afternoon was cold, rainy and uneventful. 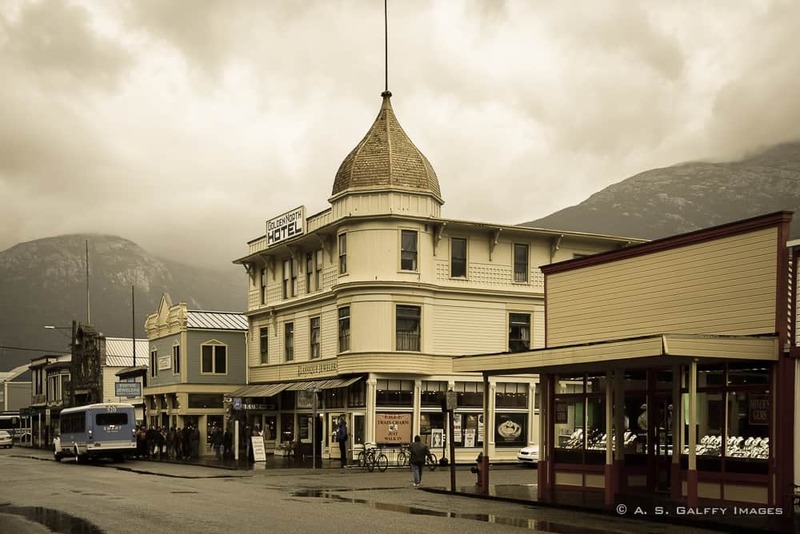 Skagway looked like a Hollywood movie set with buildings from the Gold Rush era. 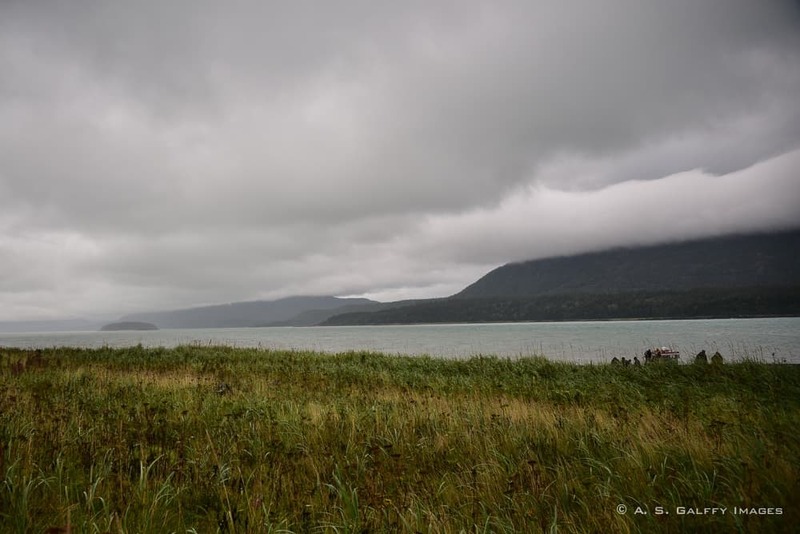 We buried ourselves in a pub till the evening, staring at the gray Alaskan sky. And it was raining, and raining, and raining . . . Thanks, Greig. I'm glad you like the pictures. I'm surprised they came out good in that horrible weather. Was the boat trip worth the experience? I find sometimes weather turns plans upside down and the whole situation becomes so miserable you couldn't care any less about what it was you're supposed to be doing in the first place. Not really, Calry. We really felt our lives were in danger on that boat. So glad you addressed the 'elephant in the room,' Alaska's changeable weather! Some of my most beautiful memories are of hiking in the rain forests - as long as I was wearing the right gear. Looks like you did. I'm sorry you had a bad experience, but I agree the photos are incredible. 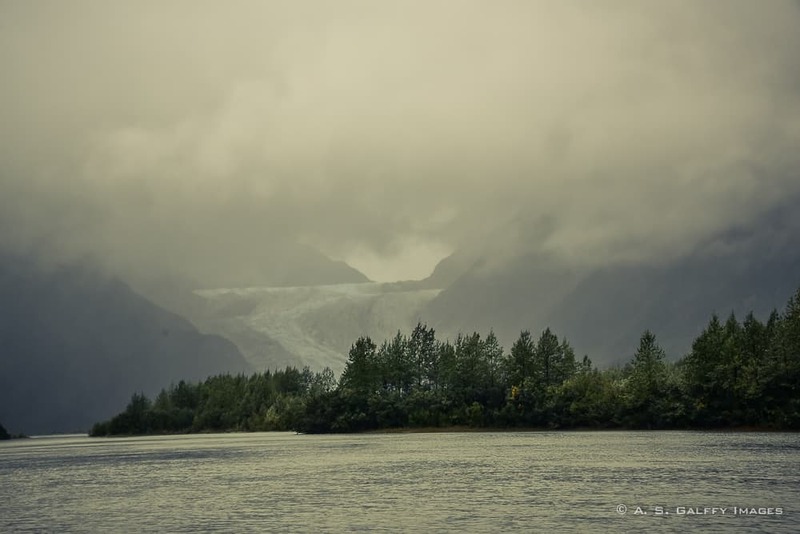 Alaska is beautiful even when the weather is bad, Shanti. Not sure if you suffer from the California syndrome too: everywhere you go, you think it is going to be sunny and warm. I have caught up the syndrome in the last years and have been cold and wet like you have no idea. But, I have learned to enjoy the weather and go with the flow. In my recent trip to Spain, the Basque Country was cold, grey and drizzly. I kept going anyway. 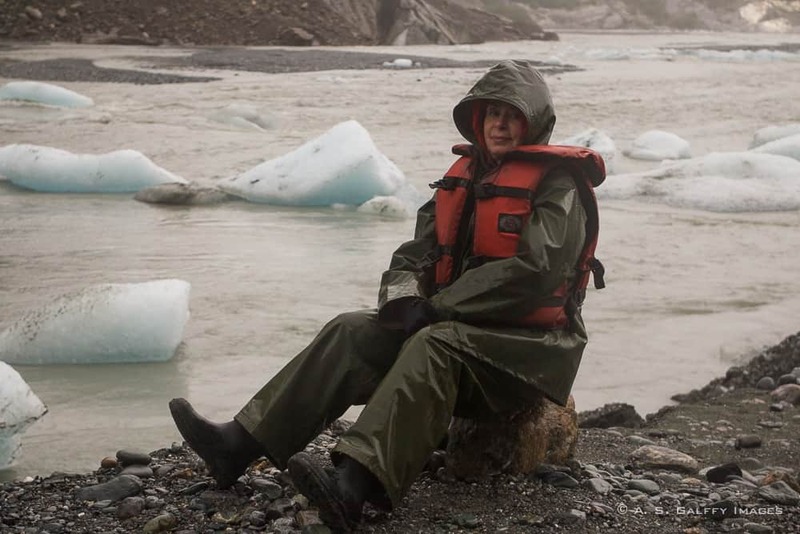 I wasn't expecting Alaska to be California, Ruth, but that boat trip in the storm was really scary. Your experience wasn't quite so bad, Jill. The journey does sound like a nightmare, I'm glad you finally made it back safe and sound. It's tricky when you have an excursion booked in advance and the weather is terrible, I've been on guided walks in the pouring rain but nothing as bad as this! It's not the bad weather that I was complaining about, but the fact that we felt pretty insecure on that boat. On the bright side, the rain makes for some beautiful photos.